Ownership / Access: Church of England. Notes: Worcester Castle was a Norman fortification built between 1068 and 1069 in Worcester, England by Urse d'Abetot on behalf of William the Conqueror. 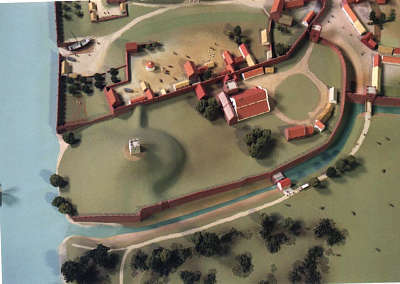 The castle had a motte-and-bailey design and was located on the south side of the old Anglo-Saxon city, cutting into the grounds of Worcester Cathedral. Royal castles were owned by the king and maintained on his behalf by an appointed constable. At Worcester that role was passed down through the local Beauchamp family on a hereditary basis, giving them permanent control of the castle and considerable power within the city. The castle played an important part in the wars of the 12th and early 13th century, including the Anarchy and the First Barons' War. In 1217, Henry III's government decided to break the power of the Beauchamps and reduce the ongoing military threat posed by the castle by returning much of the castle's bailey to the cathedral. Without an intact bailey the castle was no longer valuable militarily, although it played a small part in the Second Barons' War in the 1260s. A gaol had been built in the castle by the early 13th century and the castle continued to be used as Worcestershire's county gaol until the 19th century, when a new prison was built on the north side of Worcester and the old site completely redeveloped. Today nothing remains of Worcester Castle with the exception of Edgar's Tower, a cathedral gatehouse built on the former entrance to the castle.